Update: full reviews now posted! Yesterday, I ran 16 miles on smoother trails at Antelope Island, UT in the Montrail FluidFlex ST, 9.2 oz/266 grams, a good value at $95 including from Running Warehouse here . Really enjoyed the stable ride due to the Fluid Foam which mixes different densities of the same material into a single midsole layer the Fluid Frame, the firm but decent cushioning, and a very supportive upper with decent toe room. A shoe with mild pronation support,and I usually cannot stand support or stability shoes, I did not notice the firmer mid sole mid foot and welcomed a bit of extra support there on the trail. Very flexible at one deep groove towards the mid foot. Front of that, towards the toes, less flexible, stiffer due to firmer EVA in the mold serving as a rock plate, a bit awkward feeling on moderate climbs but felt great on steeper climbs, downhills, and flats. Did some shoe testing/comparing this morning on the indoor track. 40 easy minutes, 20 in the adidas adizero XT Boost, coming 8/1 and then 20 minutes in the LaSportiva Mutant. I like to get a feel for shoes on a consistent surface before taking them out on the roads and trails. Update: since I have raced in the adizero XT Boost and done 2 trail runs in the Mutant. The adidas Adizero XT Boost is a 9.2 oz, 260 gram $140 (on sale 8/1), 10.5 mm drop trail racer with a lugged Continental outsole and some Boost in the forefoot. It has a stretch mesh debris sleeve. Felt very snappy with a distinct soft Boost rebound in the forefoot and not as firm in the heel as I expected. Not sure I would race them on very rocky technical trails but smoother trails should be a blast. XT seems a lot like the Adios Boost road shoe, for trail, or more likely, given midsole materials and geometry, the adidas Takumi-Sen Boost road racer. I am leaning towards running the XT at the Buffalo Run 25K on Antelope Island next week. My other choice the Fluid Flex ST which served me well yesterday on the Island. Update: I did end up running the Buffalo Run in the Adizero XT Boost and they were spectacular. Great climbers, plenty of downhill stability, Boost welcome under the forefoot, good grip on the sandy trails. The upper is quite minimal for a trail shoe but when combined with the solid platform underfoot a good balance for smoother trails. The mesh "sleeve" worked well to keep dust out of the shoes. 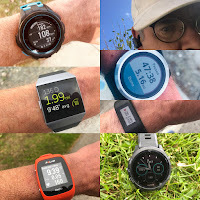 I actually had less sore quads in the XT after running the identical route, far faster than I did in Fluid Flex ST which maybe are a bit too firm for my style and stiffer flexing up near the toes. Review soon. There will also be a Primeknit version, the adizero XT Prime Boost at bit lighter at 8.8 oz 250 grams and... $200. The LaSportiva Mutant is a 10.9 oz, 309 gram $130 shoe for rugged wet, snowy, and rocky trails. It has big lugs (6mm) and a very supportive, substantial yet not tight wrap around mid foot upper similar to a ski boot bootie, SpyralTongue. Complex lacing system (even includes instructions for using the optional lace garage, see picture below) that seems to serve the purpose of lots of mid foot support without an overly snug actual upper feel. Might be a good choice for those with bad ankles. Very dense mesh and high heel collar which may bother some. It is smoothly flexible up front and nicely cushioned, not overly firm. They actually felt fine during my 20 minute indoor track run. Very stable mid foot and heel upper and overall underfoot platformwith surprisingly flexible forefoot. I would size up a half size if your feet are wide as the toe length, due to substantial toe bumper and dense non stretch mesh, is a bit short at true to size especially if your runs are long. Not a brick by any means on the run, surprisingly agile for a shoe targeted at situations where substantial upper support and big lugs are called for. Would be a shoe I would run in NH or on very rough technical trails. On sale now at Running Warehouse at this link. Supportive cords are embedded in a glue/plastic like material firmly glued to the side walls, FusionGate. Also coming soon r the adidas Adistar Raven Boost, on sale 8/1 $140. Raven Boost is a heavy duty, and heavyish 11.5 oz, 326 grams, trail shoe that is also very fine on the road. My road miles to date in them have been most comfortable and smooth without being mushy. Raven Boost has a very comfortable and soft upper, more toe room than usual for adidas and a nicely stabilized forefoot - by EVA around the outside of the front of shoe surrounding the Boost, unlike Ultra Boost which is all Boost upfront. While called Adistar which usually means some stability support features for pronation I detect and see none, can't run support shoes. Likely for many, a better and more versatile ultra shoe than the Ultra Boost, reviewed here. Far more comfortable upper than the fairly narrow Terrex Boost reviewed here with its stiff and substantial overlays in the front of the shoe near the laces. Raven Boost also has lower profile lugs making it more road suitable than the Terrex as does the lack of the stabilizing heel TPU layer of the Terrex around the heel. Last but not least the Hoka One One Challenger ATR should be on everyone's list. A bit firmer than other Hokas, a very comfortable relatively roomy upper, sensational low weight at 8.6 oz yet with tons of great Hoka cushioning, and for the first time long wearing decent lugs and carbon rubber heel on a Hoka. It was my 2014 Trail Shoe of the Year as it was in limited release late in 2014 and now is more broadly available. My review here. hi sam--interesting stuff! kind of surprised you had no problem with the fluidflex st, since you're highly allergic to stability shoes. did you find the different densities didn't really affect the ride at all? i really like the fluidflex I, and i've been curious about the st but thought maybe i should leave it alone. you never ran in the regular fluidflex, right? Bruce, to continue. Never ran in original FluidFlex. To little shoe for me on trails. The different densities do affect the ride. The heel is decently cushioned yet stable, mid foot is supported, fore foot "rock plate" firmer density a bit too firm, affecting flex in front of the deep groove. I'd maybe soften density there or concentrate firm stuff into a smaller area. belated thanks, sam. have you run more in the st since? would you by any chance know whether the st fits more like the fluidflex I or II? the I fits me very well in my normal size; even sizing down in the II, it 's too loose on my narrow feet. to phrase it in a perhaps more answerable way, how did the fluidflex st fit? true to size for you? a bit roomy? as i said above, ff1 fit me well in normal size. ff2 i needed to size down and it was still too roomy for me. i'm thinking about ordering the st and need to figure out what size to get. Bruce, my pair is a size 9. I am usually but not always 8.5. Fit with 9 is perfect for me. Very well held midfoot, a bit of moving the toes room up front but not sloppy in any way. ha, running warehouse says it runs long and suggests sizing down (which was the case for me in the FF 2). yours didn't seem at all long even though you were sizing up? Maybe a bit long, they are at my place in UT. I do know that the midfoot is very well held so length less of an issue than in some. Also the multi density midsole gives further support and stability under mid foot as is firmest there on medial side especially. Great post! I have a question about new Adidas shoes. I'm looking replacement for my Adidas Supernova Riot 6. Which Adidas Trail BOOST shoes would you prefer? I would use it in trail marathons and ultra distances? I noticed you said that Raven would be great for ultra runs. What about Adizero? Is Adizero too lightly cushioned for ultras? I'm not the lightest runner..
Hi Teemu, Thanks for inquiring. If you like the Riot the Raven Boost might be good for you. I have not run in the Riot but familiar with its specs. Raven should be somewhat lighter and more flexible. It will have less forefoot protection I think. I have run both roads and trails in them and they are very cushioned comfortable but not exactly a fast shoe. The XT Boost is a fast fast shoe, probably not a trainer for a heavier slower runner but fun for all. Firm and super stable platform. I have run 2 25K trail races on relatively smooth terrain with no issues at all. Great website and great reviews!!! I was wondering if you could recommend your too Adidas Boost series for trail and road. I do about 50/50. Thanks so much! Also, do you find the toe box in most Adidas to have flexibility and breath ability? Blisters and lost toenails are a constant struggle for me. Hi Jessica, Boost choices depend on what kind of trails, pace, and distances you do. As far as blisters and lost toe nails you might want to size a bit bigger? or if you feel you are swimming around a bit smaller? What are you running in now for trail and road. Feet swell in heat. Also socks can play a big role. Back to Boost. 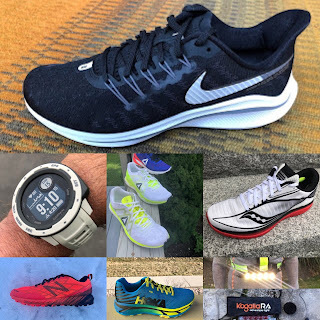 While a bit heavy and kind of ugly looking the Response Trail Boost is my 2015 favorite as an all around cushioned trail shoe that can do roads. Very comfortable on roads and great on all trails expect the most technical. Surprisingly flexible. Widest toe box of any of the adidas trail or road I have run in. My review here http://www.roadtrailrun.com/2015/07/first-runs-review-adidas-response-trail.html. You will also see mentioned in the review the Raven Boost. Also very fine but a bit less flexible and for me a bit too much soft Boost. If your trails are very moderate and smooth the Energy Boost 2 ESM is another fine choice. For the same smooth trails and for roads if you want a "fast" shoe the Adios Boost 2, the world's fastest marathon shoe is also a great trail shoe but it has less forefoot cushioning.. Another brand to consider Topo. I am finding the Topo Magnify superb on both roads and smoother trails. It has a nice wide and well held toe box http://www.roadtrailrun.com/2015/08/topo-athletic-magnify-refined-blend-of.html. Don't hesitate to write back if you have more questions. Thanks for reading my site! Thank you for you're response! Okay so without go on and on forever because we both know how runners are, I run 20-30 miles a week, with a road pace of mid 8s and trail mid 9s. My longer runs don't usually exceed 14 miles and I'm wearing Brooks Ghost 7. I was in a neutral shoe for a long time and had random issues on and off and switched to these. They are okay. I think the issue is that my foot is slipping around in the heel and causes my toes to bang into my shoe especially going down hill. So I need toe room but also a snugger heal and midfoot. The Brooks also start to feel tough on my joints once I get to about 8 miles. Maybe a bit more cushion would be nice. I am currently obsessing over the Raven Boosts but they seem to already be sold out most places! I will definitely check out the shoes you mentioned above. Thanks so much for any insight or suggestions you have! Jessica, given the heel slippage you might take a look at the Topo Magnify. The heel is particularly well held as the collar is narrow and long, no irritation though. The toe box is wide and roomy. I have had no slippage issues even with the wide toe box. They certainly can handle non technical trails.